It all started with a simple dance step and a $5 bet. At a Memorial Day barbecue a couple of years ago, Joseph Rodgers, a professional ballet dancer and instructor, offered a friend’s son a few dollars if he could master an easy step he’s taught scores of children. 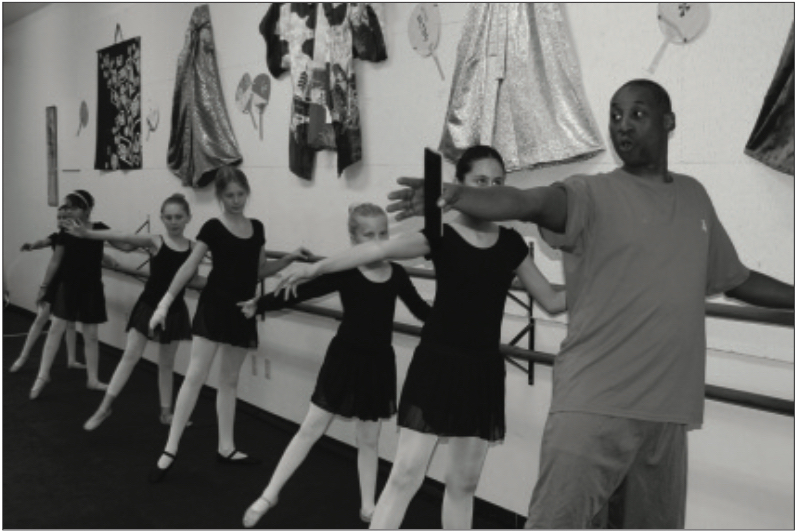 Other kids began to pour out of the house, eager to learn the move and soon Rodgers was teaching tendus and pliés, classic ballet steps, to a group of 40 kids gath- ered in the middle of a south side neighborhood street. Rodgers, 46, and wife Soleste Lupu, 44, have been feeding those hungry souls and enriching the lives of south side youth since they opened the doors to their non- profit dance studio, Dancing in the Streets Arizona, 2302 S. Fourth Ave., in August 2008.